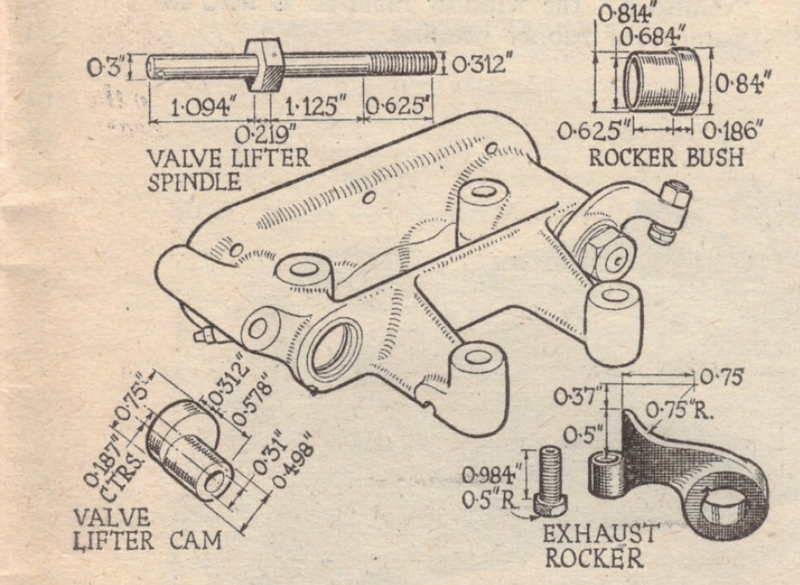 Could anyone please help with detail of the exhaust valve lifter parts for a 1930 500cc overhead valve Norton? My model 20 is missing the complete assembly which I think consists of three parts. if anyone can help with either parts for sale or even just parts I could photograph, measure or copy I’d be really grateful. I had a machine shop make up a new one using the diagram below. I then bought a exhaust lifter that was too long and had them cut & Weld to the correct length. What a fantastic old drawing. It gives all the details I need to get the parts made. Thanks ever so much for taking the trouble to share the information, really grateful.